Is this the official Norwegian title? I remember seeing this at a Norli, either in Bryne or in Oslo, a few years ago when I was there. Man går ikke enkelt til Mordor. Tar de hobbiter på Isengard? Er her riktig på eller til Isengard? The correct way would probably be "Tar de hobbitene til Isengard", as mlaam's sentence would mean "Are they taking hobbits at Isengard?". Jeg vil å se fjeller igjen, fjeller Gandalf. Good job Duolingo Norsk team, I have to say for me I come on purely to learn Norwegian but when there's little surprises through the dialogue it does help with the process of remembering. I thought that it was "The mister of the calls"! Why is it Ringenes Herre and not Ringenes Herren? This looks as if it meant "A Lord of the Rings", not "The Lord...". Is there any distinction of these two in Norwegian? I am English speaking, and not a linguist but this is my suggestion. In English there are two forms with which to express ownership, nameley the "of" form and the " 's" form. 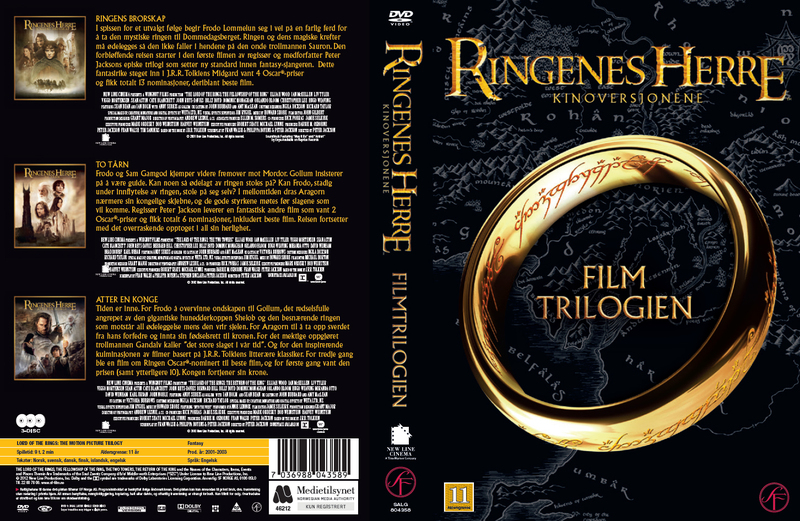 We could say "the lord of the rings" or we could say "the rings' lord" ( in itself it is an ironic expression in that a lord would normally be a powerful entity who would own the rings however Tolkien has given the ownership of the rings over the lord due to their mysterious hypnotic powers ) The English Version of the title of the trilogy uses the "of" possessive form, which relies on the use of the definite article, "the" to denote one particular lord as being lord of the rings. However in the Norwegian version one lord is defined implicity without need for a definite article. Hence no need for the "en" suffix to herre. The 'of'-form would be "Herren over ringene". Combining my two most favorite things in the world, Norway and The Lord of the Rings, I am officially in love with duolingo. This is a reference to the book by J.R.R. Tolkien. Det er ikke norsk fra Oslo, riktig? Når kan vi lære Quenya på duolingo? "Jeg har ingen herre, jeg er en fri alv!" "Den røde kvinnen er farlig, min herre."